Two people died after a small plane they were in crashed late Thursday near Santa Rosa, officials said. The plane, a single-engine Piper PA-24, had departed from Palm Springs for Santa Rosa, Federal Aviation Administration spokesman Ian Gregor said. The two people have been identified by officials as Marsha Gail Gastwirth, 68, and Donald Gordon MacKenzie, 69. Both were Santa Rosa residents. The plane crashed on final approach to Charles M. Schulz-Sonoma County Airport, according to Gregor. The crash was reported around 7 p.m. in the area of Wood Road and Wood Ranch Road in unincorporated Santa Rosa, according to the Sonoma County Sheriff's Office. The crash came close to Eric Morris' home. "There was no fire, but a little bit of smoke coming off of the rear of the airplane, or what was left of it anyway," Morris said. Morris said he did not notice anything unusual around the time of the crash. The area where the plane crashed is somewhat rural and about two miles south of the Charles M. Schulz airport in Santa Rosa. Gastwirth and Gordon were pronounced deceased at the scene. It was not immediately known what caused the plane to crash. The FAA and National Transportation Safety Board will be investigating the incident. 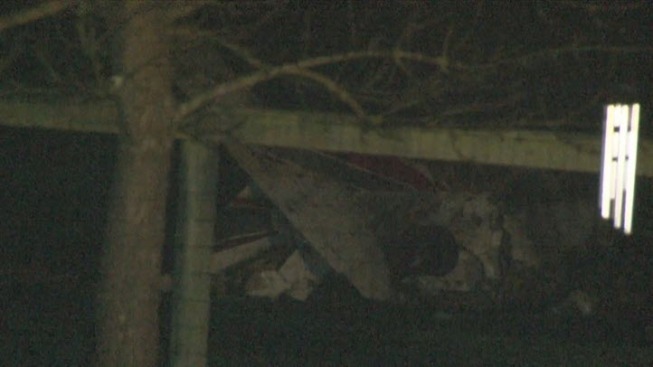 NTSB investigating Thursday night's crash of a Piper PA-24 in Santa Rosa, CA.